This graphic put Hamilton south and west near Windsor, and Oshawa as far east as Kingston. 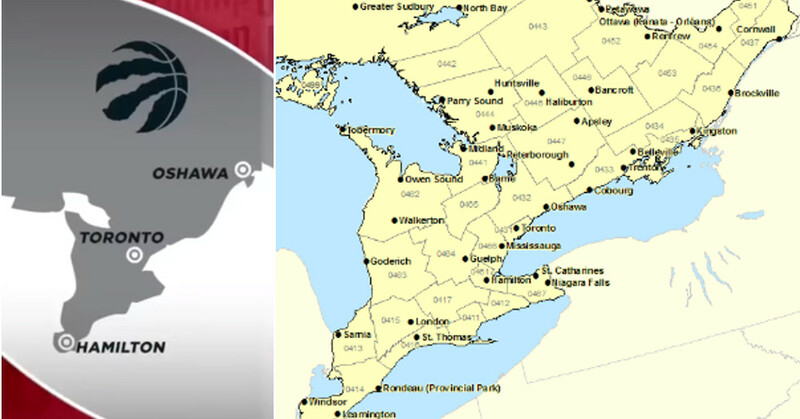 For reference for those not familiar with Canadian geography, here’s the ESPN graphic next to an actual map of Southern Ontario. Funnily enough, it’s not even particularly easy to watch The Jump in Canada, as ESPN isn’t available in the country and TSN (partly owned by ESPN) appears to only carry The Jump on regional feeds TSN3 and TSN4. Those channels do cover a lot of Ontario, though, with TSN4 in particular covering the area in question here. So some of the annoyance may have come from Canadians watching the show, while others may have just found it through social media. In any case, Raptors’ GM Masai Ujiri may be adding this to his list of grievances with U.S. media outlets. And maybe the ESPN graphics department should be a little more careful with their maps. 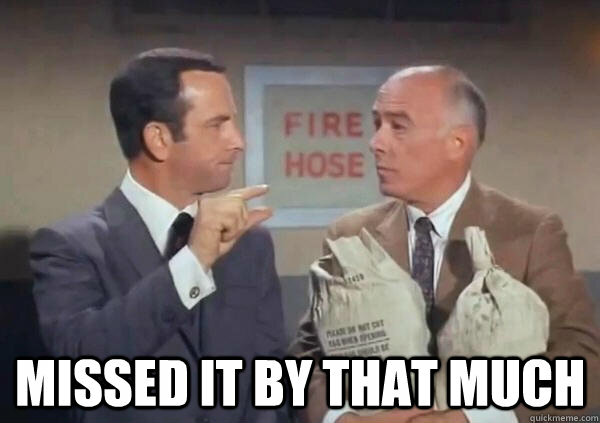 Let’s bring in Maxwell Smart for some commentary.